Next to his own activities, Mathijs works as Sales Director & Product Support Engineer at Joystick Audio, the Benelux & France high-end pro audio distributor. Meanwhile, Mathijs has been active as DJ for many years, with a residency at the White Cat in Ghent, and a monthly radiomix on Urgent.fm as part of the 40 Fingers Cartel DJ collective. Introducing the DrMS concept to the world. 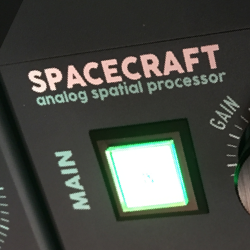 Originating from a specific need to fix mono compatibility errors in a mix during mastering. 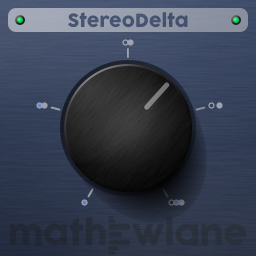 Major algorithm improvement that allows to create wider and deeper soundstages while maintaining the excellent mono compatibility DrMS is known for. 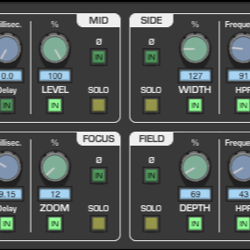 Re-coded from the ground up: DrMS becomes a true native VST/AU/RTAS plugin for OSX and Windows that no longer requires the (now discontinued) Pluggo Runtime shell. 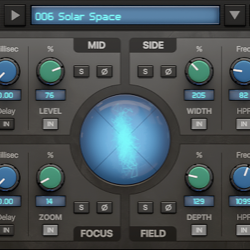 V3 has numerous improvements and new features over version 2, such as the newly implemented mastering grade filters, the addition of the Feedback circuit for reverb creation and special effects, the improved GUI with value displays and the inclusion of example preset settings. Massive CPU performance optimisation and 64-bit support, while ensuring the same high quality sound DrMS is known for. The update also features a further improved GUI with a built-in preset management system facilitating exchange of settings between different hosts and platforms. 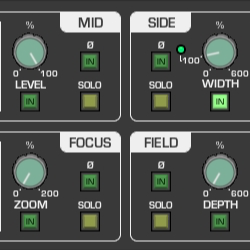 Adding support for the new native AAX plug-in format in ProTools. 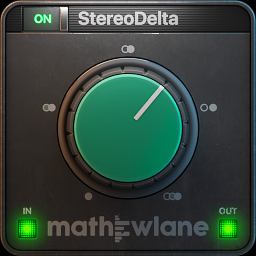 Introducing a single knob version of the powerful DrMS algorithm, making Mathew Lane spatial processing extremely easy to use and accessible to anyone. 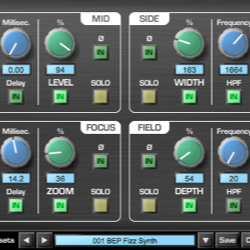 Offering a striking fresh GUI, introducing features such as the central phase scope and manual entering of parameter values.